Prince George, B.C. – Good news for northerners as the BCNE’s Fall Fair will be moving ahead this summer as scheduled. 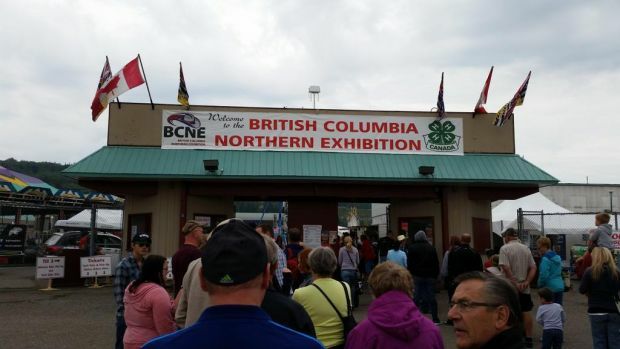 The future of the fair – which will take place Aug. 17-20 – was in doubt because the Agriplex and rodeo grounds are still occupied by evacuees and animals displaced by Cariboo wildfires. “It was decided we’d go ahead at our board of directors meeting last night,” says president Alex Huber. As a result, he says the rodeo will be “fine tuned” into a roping event and a $5,000-barrel race at the fairgrounds. Huber adds the motocross has been cancelled but the midway will be here. Good. Nice to see that it will not be cancelled.